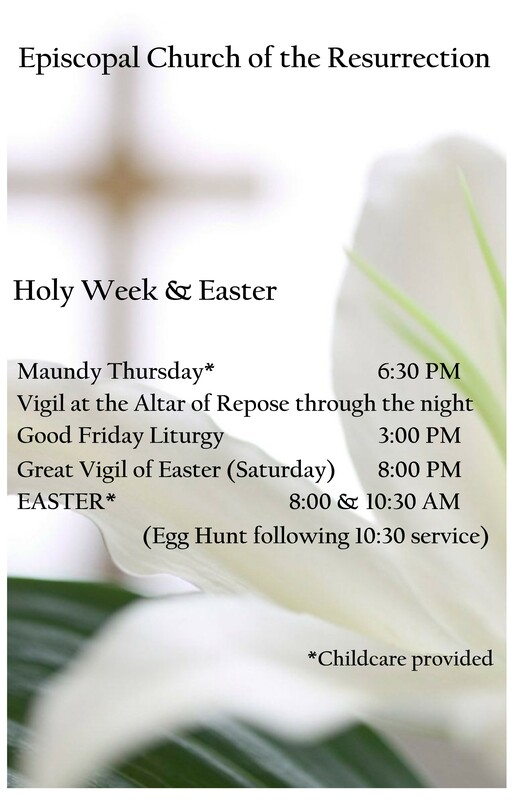 Join us Sunday for The Holy Eucharist at 8:00 and 10:30 and Wednesday's at 6:00pm for a potluck dinner followed by Bible Study at 6:45. Call us for more details. Connect with us on social media, send us an email, or give us a call. We're looking forward to hearing from you!